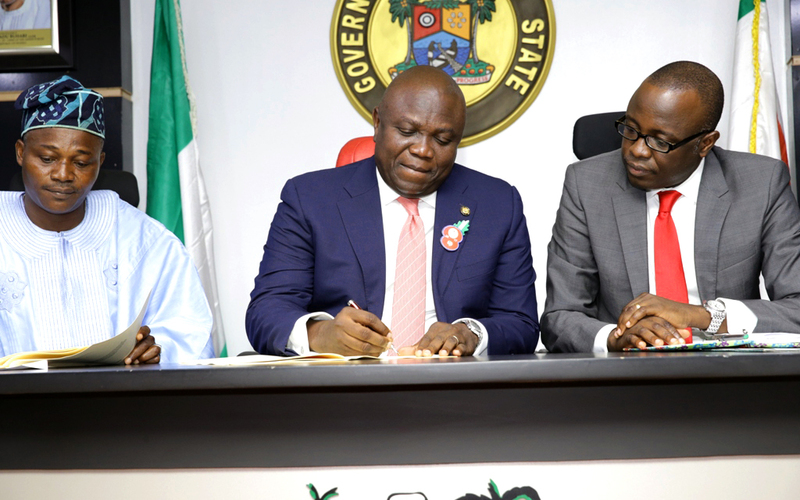 Lagos State Governor, Mr. Akinwunmi Ambode (middle), signing the 2017 Appropriation Bill into Law while Commissioner for Finance/Economic Planning & Budget, Mr. Akinyemi Ashade (right) and Chairman, House Committee on Appropriation, Hon. 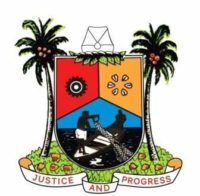 Rotimi Olowo (left), watch at the Conference room, Lagos House, Ikeja, on Monday, January 9, 2017. 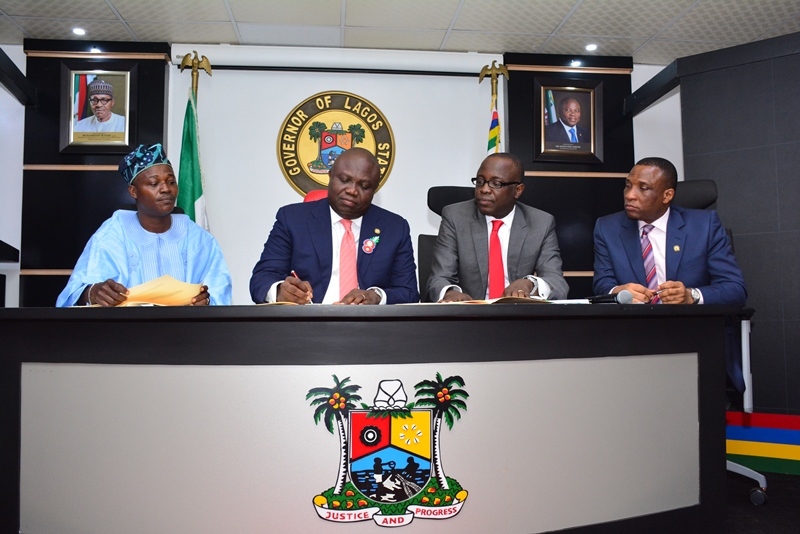 Lagos State Governor, Mr. Akinwunmi Ambode (2nd left); Chairman, House Committee on Appropriation, Hon. 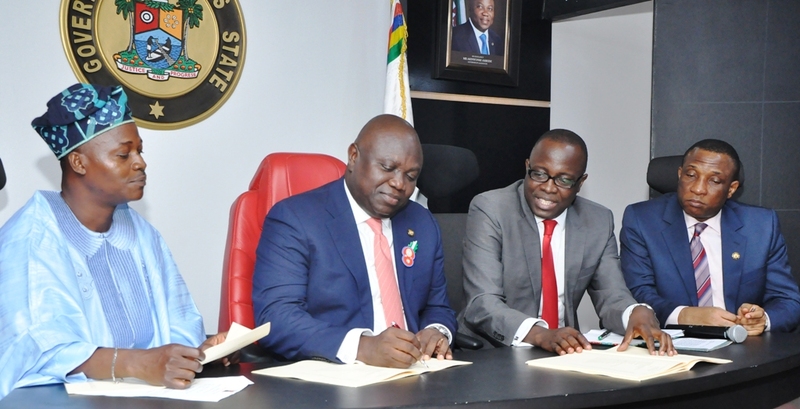 Rotimi Olowo (left); Commissioner for Finance/Economic Planning & Budget, Mr. Akinyemi Ashade (2nd right) and Secretary to the State Government, Mr. Tunji Bello (right) during the signing of the 2017 Appropriation Bill into Law at the Conference room, Lagos House, Ikeja, on Monday, January 9, 2017. 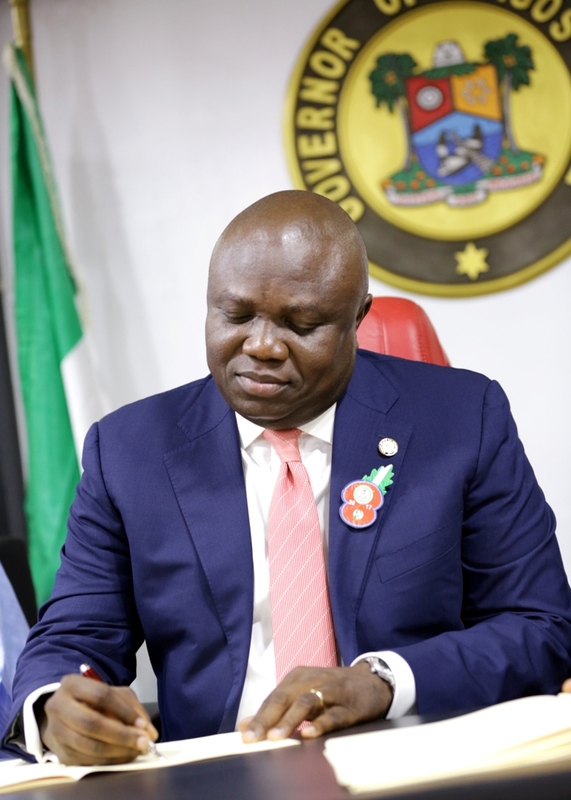 Lagos State Governor, Mr. Akinwunmi Ambode, signing the 2017 Appropriation Bill into Law at the Conference room, Lagos House, Ikeja, on Monday, January 9, 2017.